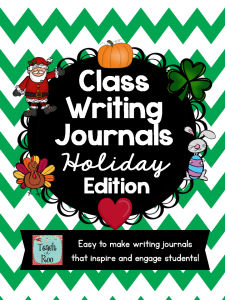 If you are familiar with my Class Writing Journals, I have some exciting news! I finally finished a holiday expansion pack. I am so excited about these! 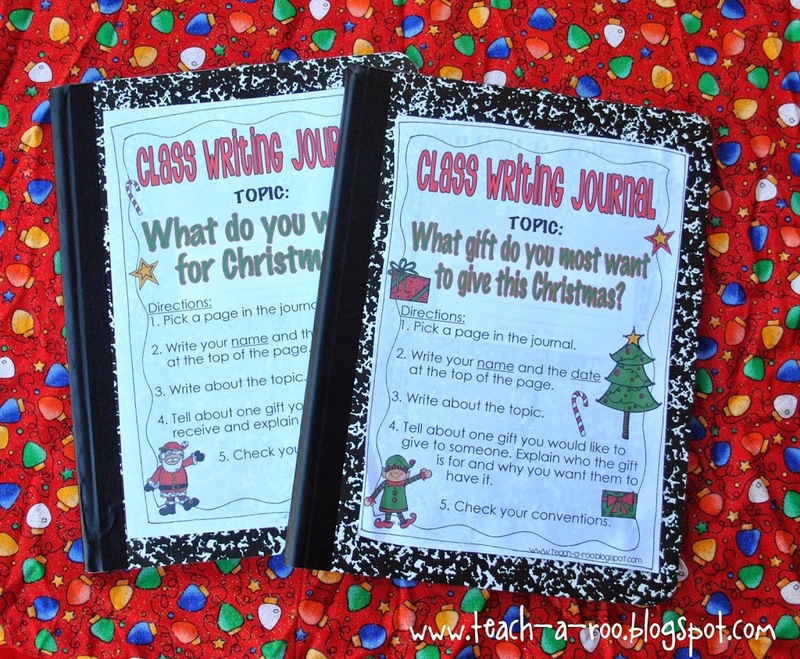 This pack includes 6 holiday themed writing journals to use throughout the year. 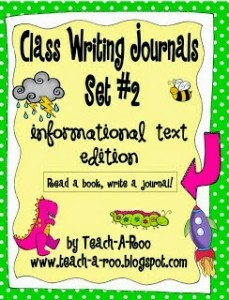 They match my other Class Writing Journals so they can easily be added to the set. 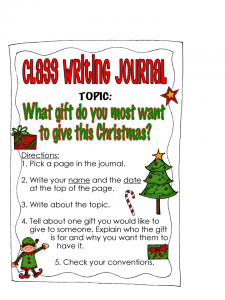 Each holiday has a cover sheet with a writing prompt and a page of writing helps that you can glue on the inside cover of your notebooks. 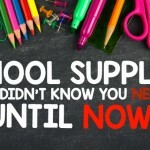 They are sized to fit onto a standard composition book or spiral notebook. 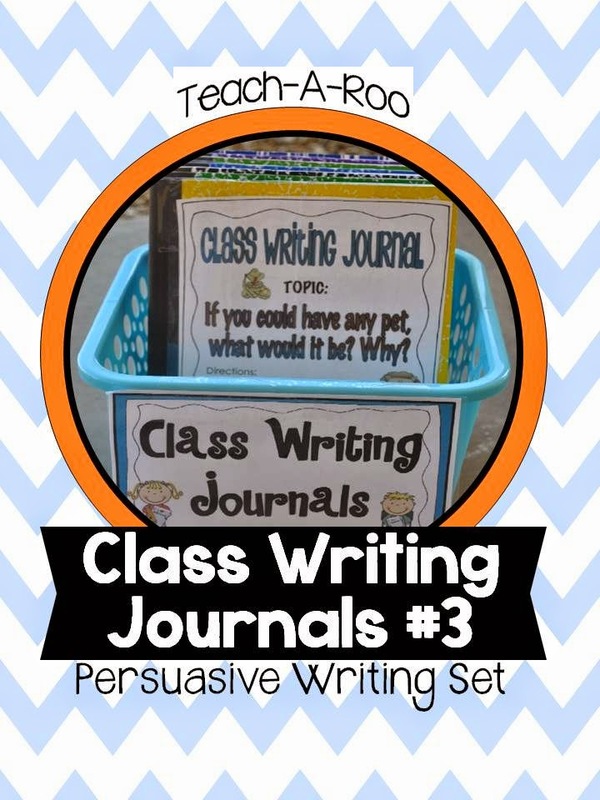 If you aren’t familiar with Class Writing Journals, you need to be! 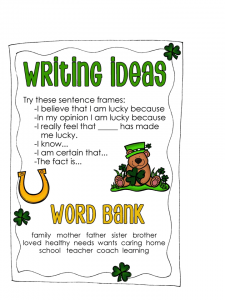 They are one of my favorite writing tools I use in my classroom. 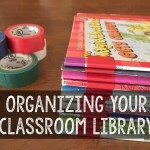 I make mine simply by attaching the cover and writing ideas page to a composition book. Covering them with clear packing tape or clear Contact paper will help preserve the longevity. I keep them in a basket in my writing center. During writing time, students select a notebook and start writing. They also LOVE reading what their classmates have written. They are perfect for fast finishers or can be used for assessments. You can save some $$ by buying the bundle. It has all four sets in it!! 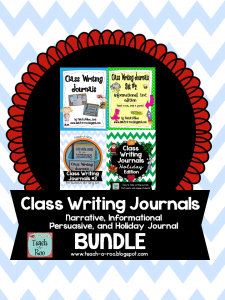 There are enough to keep your students writing all year long! 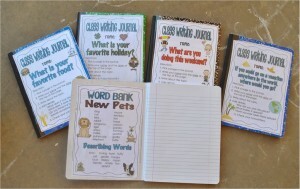 -Trade journals with a buddy class. This gives them an audience for writing. 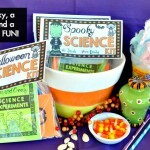 -Send them home for a special at home writing project. 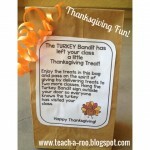 One of my friends sends them home on Fridays and the students bring them back and share in partners on Mondays. -Save them from year to year. 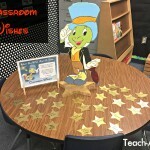 Students love to find passages their friends, neighbors and siblings have written. 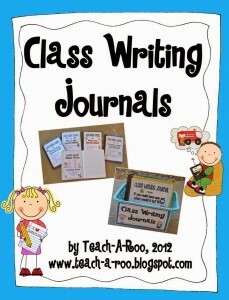 Check out my other Class Writing Journal posts for more ideas.